As the name suggests, Intro Magazine is all about introducing its readers to new music. That’s why it kickstarted the Introducing music series – a monthly showcase of up-and-coming bands (or just those that should be better known) that takes place across a handful of German cities. 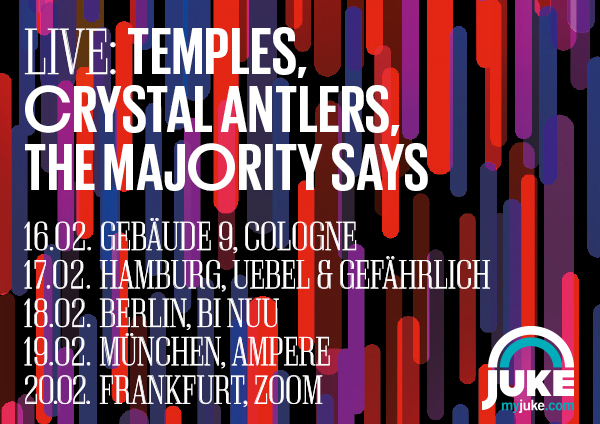 Last month featured Kate Boy, Son Lux, and Youth Kills, but February is already packing a punch with a lineup of Temples, Crystal Antlers, and The Majority Says. And per usual, this five-city tour stops off in Berlin, this time at the club under the train tracks, Bi Nuu. Bi Nuu, Im Schlesischen Tor, 10997 Berlin; 030 69 56 68 40; U: Schlesisches Tor; admission: free with registration here.